If you're looking to celebrate Oktoberfest this year, think small town America. According to a new survey from Trulia, the top places to celebrate the beer festival are in smaller metro areas, with Traverse City, Michigan, ranking No. 1. The "Oktoberfest Index" is based on the number of breweries, bars and bottle shops per 10,000 people, and also factors in the share of residents of German ancestry. "Breweries can function a little more profitably in places that aren't as expensive when it comes to real estate," said Ralph McLaughlin, housing economist at Trulia. 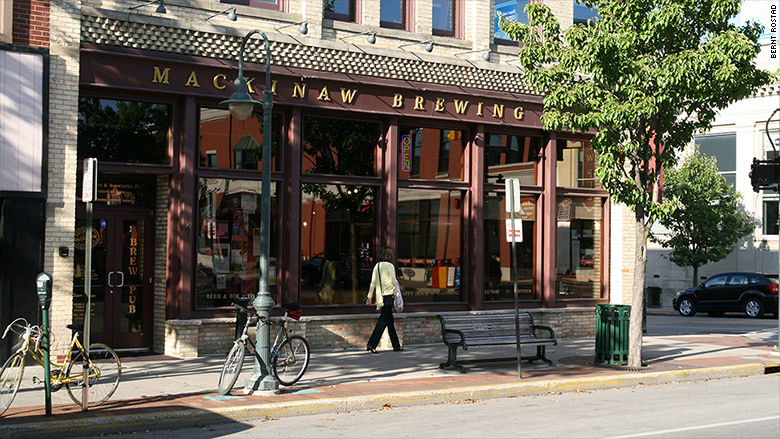 Craft brewing has become more popular in Traverse City, which is getting ready to celebrate beer week from Nov. 13-20. Trulia ranked the U.S. metro areas (0-100) with at least 100,000 people based on the following four categories: number of breweries, bars, bottle shops and residents of primary Germany ancestry. Yelp data was used to determine the number of bars, breweries and bottle shops and data from the 2013 American Community Survey from Census was used to determine ancestry figures.